A storm system pushing through the Great Lakes is drawing warmer air northeastward into our region for today and tomorrow. While sunshine may not necessarily dominate the landscape, it will be milder out compared to what we experienced on Sunday and Monday. Temperatures pop into the lower and middle 60's this afternoon with a varied mix of clouds and sunshine around town. Arguably, skies will be cloudier than sunny through the day but there will be enough bright moments to help offset the low and mid clouds around. 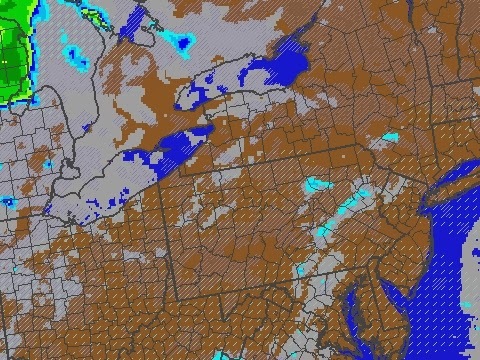 That said, there could be some drizzle and fog holding tight north and west of the city that could limit just how mild things get in Allentown, Reading, and points north and west of there. 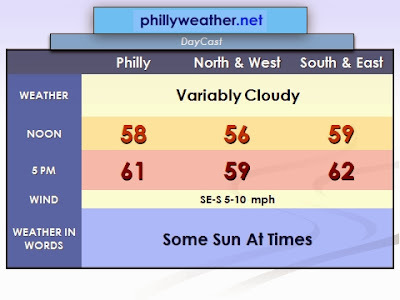 For now, we think that everyone should hit 60 at some point during the afternoon.